Hemisphere GNSS's A31 antenna is conceived to keep tracking differential correction, GPS, and beacon signals in difficult environments. This is true, for example, where it is impossible to maintain the antenna in a level position. 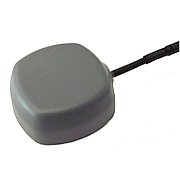 The Hemisphere A31 GNSS Antenna is conceived to keep tracking differential correction, GPS, and beacon signals in difficult environments. This is true, for example, where it is impossible to maintain the antenna in a level position and protect it from electrical noise. 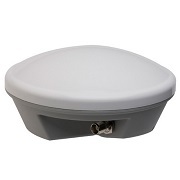 The Hemisphere A31 GNSS Antenna has the capability of filtering out 30 more decibels from radio band frequencies, due to its outstanding multipath mitigation. Therefore, it provides a high level of noise rejection. Manufacturer recommends using the A31 with its GNSS Crescent as well as Crescent Vector II receivers. 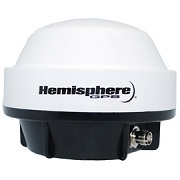 The Hemisphere A31 GNSS Antenna is available through Blue Planet Geomatics. If you have any question about this antenna, please send us an inquiry by filling in the Request Pricing form.